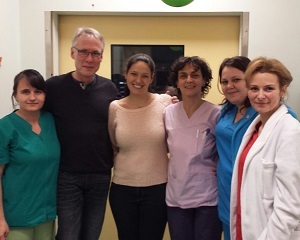 Back on our monthly mission at Bucharest Marie Curie Children’s Hospital. Maria, our 1-year old princess. 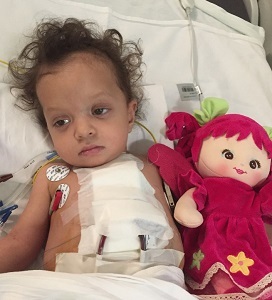 She had a congenital sub- and supravalvular pulmonary stenosis. Only one surgery gave her a second chance of a normal life because she is totally healthy now. In poor countries every day children passing away by treatable congentital heart disease without this second chance. Final day of our December mission at Marie Curie Children’s Hospital. 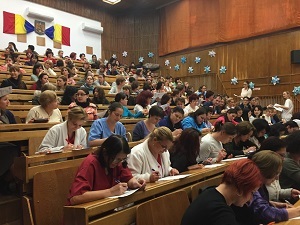 The participants of the training course we did all the lectures during the last 4 months wrote their exam. And our great ICU team were very happy about all the successful missions we did together during the year. Many, many thanks to the entire team from the OR, ICU, Cath Lab, Cardiac Unit and Neonate ICU. Also many, many thanks for all the big support from our local friends from Inima Copiilor, our Italian friends from Bambini Cardiopartici nel Mondo and all the people who gave us help all the time. We will see again in January 2016.